UTA Valet. Civic Center Drive Beverly Hills CA Car is left hand drive. 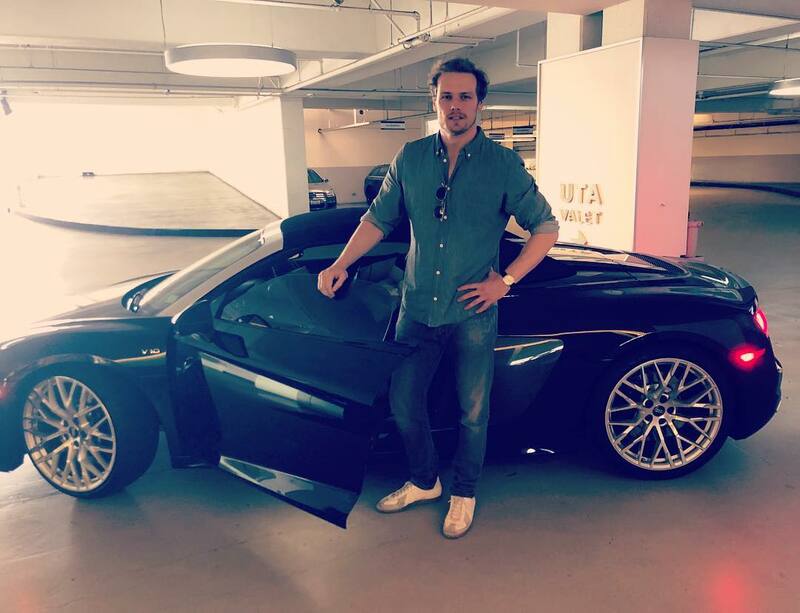 Beautiful car and Handsome Sam Heughan.